From the first ground-based surveillance technology to today's Joint Battle Command Platform, many of the country's most significant defense and intelligence advances bear MITRE's imprint. As the United States entered the Cold War era, it confronted a critical national challenge: How can the government draw from the wealth of emerging technologies to defend the country against the threat of a Soviet-launched missile attack? In 1958, Congress chartered MITRE to work with the U.S. Air Force to support the country's air defense mission. Since then, we have worked as a mission partner with all branches of the U.S. military, as well as the Intelligence Community. Drawing on a deep understanding of the principles of systems engineering, NSEC and all of the FFRDCs that MITRE operates continue to drive innovation and push the boundaries of technology to solve some of the country’s most complex problems. In the early 1950s, the Department of Defense looked to the Whirlwind Computer, a World War II research and development project, to serve as the backbone of a continental air defense system. The Air Force later transitioned the development of this system to MITRE. The Semi-Automatic Ground Environment (SAGE), MITRE's first work program, used early digital computers to link sensor and weapon systems to monitor the nation's airspace, detect potential threats, and coordinate tactical responses. SAGE heralded a major step forward in the application of information technology to military challenges and the design and engineering of system of systems. 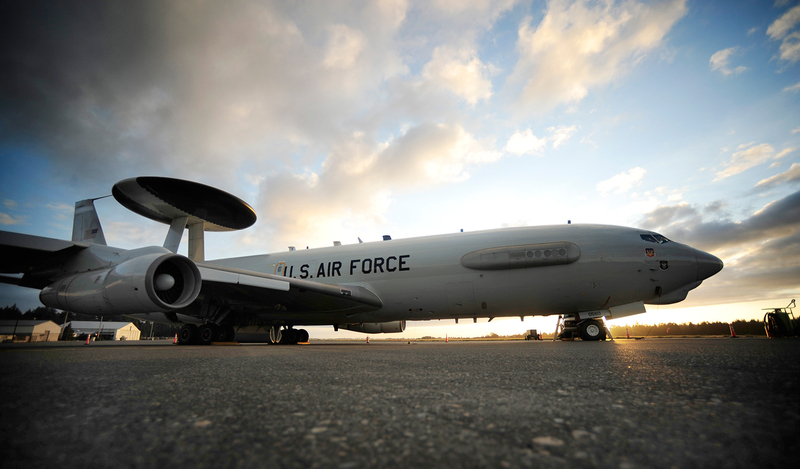 Originally conceived as an early warning system to complement SAGE, the Airborne Warning and Control System (AWACS) evolved into a mobile command and control platform the Air Force could dispatch to distant airfields. Since the mid-1960s, MITRE has supported the development of AWACS from the design of the original performance specifications to final system acquisition. For much of that time, we served as chief engineer on the project. In the 1980s, MITRE supported the U.S Army and Air Force in developing Joint STARS—the Joint Surveillance Target Attack Radar System. Joint STARS provides an airborne, standoff range, surveillance, and target acquisition radar. MITRE provided systems engineering expertise for design, analysis, and testing. The military deployed two Joint STARS aircraft prototypes during Operation Desert Storm to identify and track the movement of Iraqi ground vehicles. Five years later, the Department of Defense approved acquisition of 14 of the aircraft. Over time, MITRE expanded its support to the DoD to include a host of command, control, and communications systems at strategic and tactical levels. One example is the Joint Tactical Information Distribution System (JTIDS), a secure, jam-resistant, high-capacity data link that provides reliable situational awareness for fast moving forces. Early versions used mobile ground stations to broadcast and receive information on friendly forces. Later, MITRE incorporated the technology into the AWACS aircraft for deployment during Desert Storm. For more than 20 years, MITRE has taken a leadership role in developing and then modernizing the system of signals and satellites that provide positioning, navigation, and timing to the country's defense effort, and later to the aviation and consumer industry. Today, what is commonly known as the global positioning system—GPS—touches every aspect of our lives, from the navigation systems in our vehicles to the locators in our smartphones. We're also working to defend the country against cyber crimes by acquiring and expanding our deep knowledge of adversaries' tools and tactics. MITRE's cybersecurity experts use this intelligence to advance security engineering by building systems of the future to confront evolving threats. MITRE has received several awards for our work in the defense and intelligence arena. These include the Secretary of Defense Medal for Outstanding Public Service, presented for contributions that have strengthened the nation's defense posture and provided military personnel with a decisive strategic and tactical information advantage. Several MITRE leaders have received the Eugene G. Fubini Award for contributions to the DoD. MITRE has also received leadership awards from the Armed Forces Communications and Electronics Association International, as well as recognition for our contributions to securing the country's critical infrastructures.